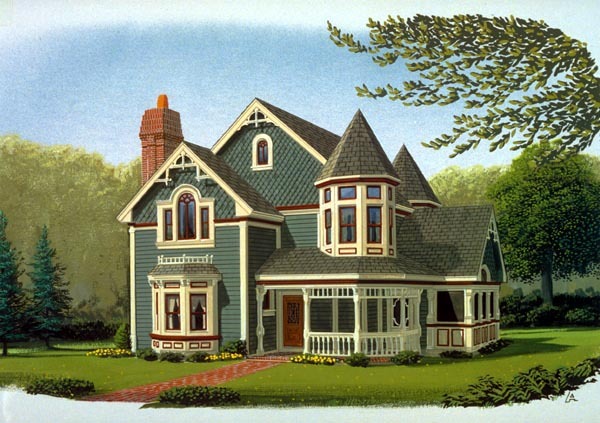 This design's multiple octagonal turrets, fanciful spindlework and wraparound veranda capture the essence of the Queen Anne style. The living room showcases a striking fireplace and overlooks the veranda. 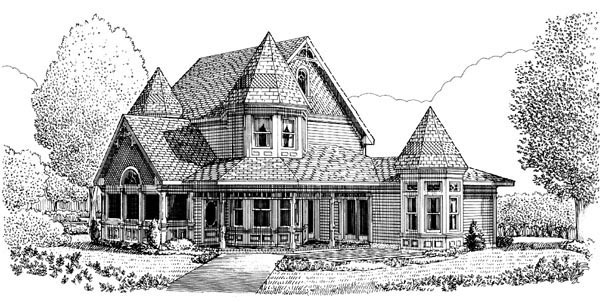 The efficient kitchen easily serves the elegant dining room, which features a French door to a screened porch. The master suite boasts a spectacular private bath with an oval tub in an octagon-shaped alcove crowned by an 11-ft. ceiling. The upstairs game room makes a nice spot for children's activities. Question: 1. Can you put a utility room on the first floor for the washer and dryer that is a decent size? I only see a pantry to the left of the kitchen by the 1/2 bath and don't know if that is intended for the washer and dryer. 2. Not as important but can you stretch the house in both directions a few feet to enlarge the kitchen and master bedroom. The kitchen is small. 3. Is the area in the master bathroom under the lavatory and to the left of the sinks as you look at the first level floor plan on the website a closet? 4. How large is the pantry for the kitchen? Answer: The utility area is 6’8” x 6’8” not including the angled corner between the veranda and the kitchen. The only way I can see to enlarge it would be to modify the entry. The pantry by the stairs is approximately 2’ x 4’. The plan could be widened but would again need to be modified. If you wish to do so, please call 888-266-3439. Question: Are the walls at the entrance from the veranda (West wall of the pantry and South wall of the kitchen) load bearing? Also, is it possible to build this home with a basement instead of a slab foundation? Answer: Yes, I believe it is a bearing wall, but it could be overcome depending on what you wish to achieve. Also, it does not have a basement foundation, but one could be created for the plan with a modification. Question: What is the size of the master bath? Answer: Approximately 14’ w x 7’ deep. Question: Where is the garage on this design please? 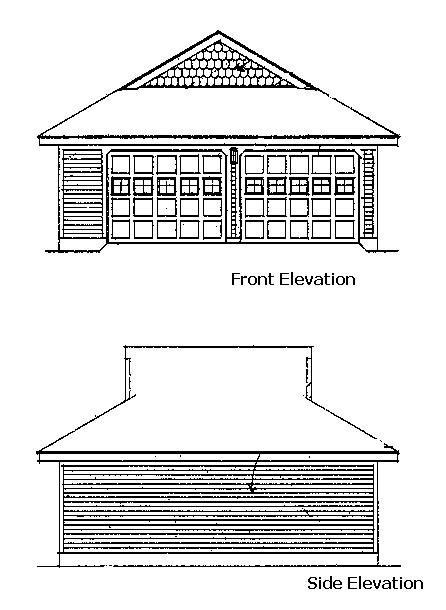 Answer: It’s a detached garage so you would put that wherever works best for you or you could attach it. Here’s what the garage looks like.